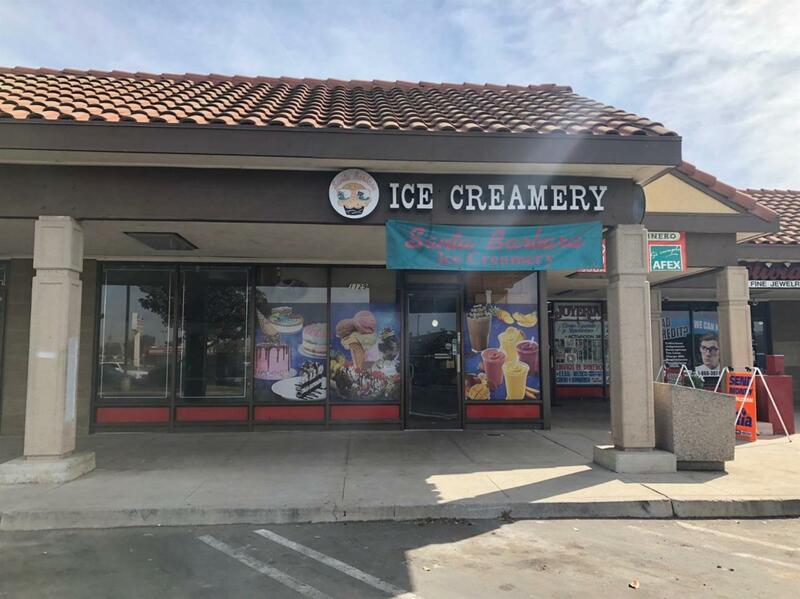 Great business opportunity in a Great location in Save Mart Shopping Center! Santa Barbara Ice Creamery has been open for a very long time. Other businesses there include CVS, Subway, and Wells Fargo Bank and many other business. It has very easy access to FWY 99 and is also close to downtown golf course. There is long list besides the many ice cream flavors that include Ice cream cake, smoothies, coffee, fruit juice, fruit cocktails, sandwiches, crepes and much more! Store was recently remodeled and is ready for you to buy this business and start making good money!